Surround your little one in comfort and style with the Baby Relax Macy 4-in-1 Convertible Crib. Featuring classic lines with elegant accents, this crib gives a nod to tradition with updated styling from classic architecture. The sturdy frame and strong arched details combine with the gentle curves of the side rails to add elegance and a soft touch to the nursery. A stunning rustic and distressed finish is achieved using a multi-step process that is highlighted in the charming camelback headboard design and detailed crown molding. 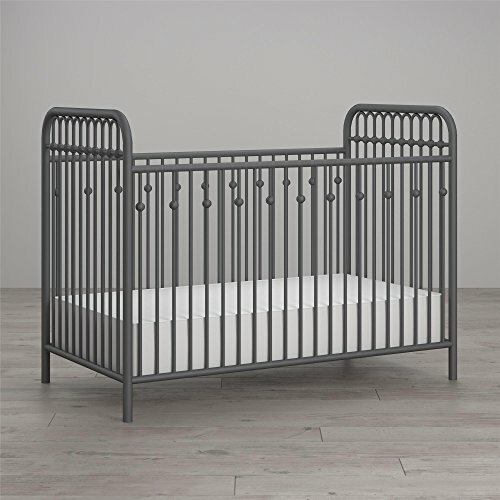 It is the perfect centerpiece for your classic nursery today and offers long-term value as the Macy is able to transition with each stage of your child's growth. From crib to toddler bed/day bed and finally a full size bed, the Baby Relax Macy 4-in-1 Convertible Crib will bring a modern, rustic and playful charm to your nursery. Inspired by antique wrought iron cribs, the Monarch Hill collection is styled along Victorian lines, with gently arched tubes and beautifully crafted ball castings on the spindles. Non-toxic, gray painted steel tubes are smooth and strong. They will resist scuffs and scratches while providing stability at every mattress height. Mattress support is adjustable so children are safe and easy to reach as they grow. Like all Little Seeds products, this purchase helps support a major environmental initiative. Discover how this can help you and your child involve your community in habitat rebuilding. Coordinates with other pieces from the Monarch Hill youth series to create a unique space for your child. 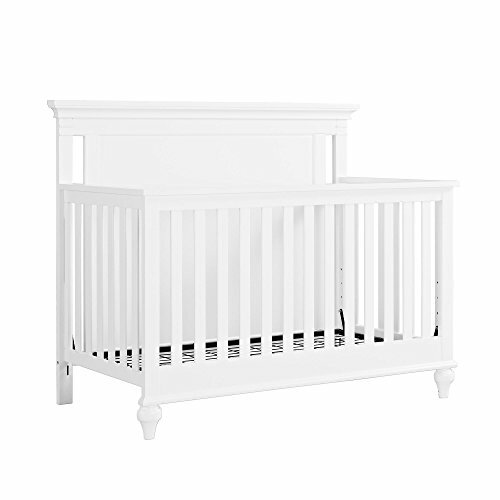 Add simple and farmhouse chic charm to your nursery with the Baby Relax Hathaway 5-in-1 Convertible Crib. 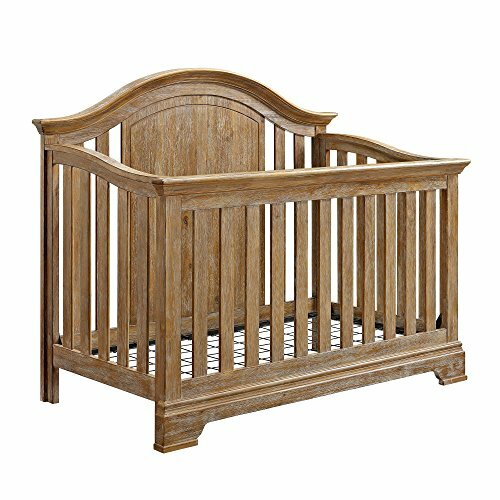 Crafted with a rustic coffee finish, the sturdy wood construction of the Hathaway features a partial top panel headboard with a decorative design and classic vertical slats accentuated by the beautiful wood grain detailing making it the ultimate centerpiece to compliment your rustic inspired nursery. This versatile crib transitions easily with each stage of your child's growth, from crib to toddler bed and daybed, and finally a full size bed with headboard and footboard. 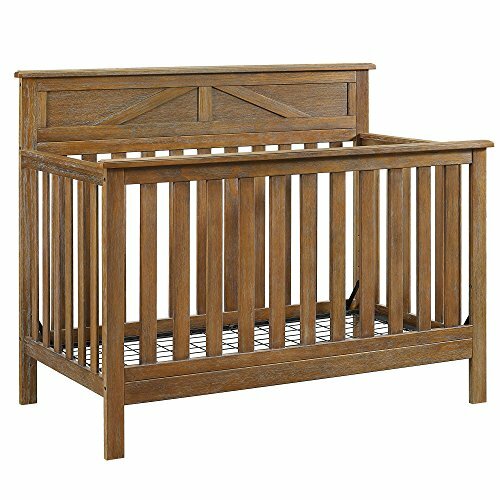 Combine the Baby Relax Hathaway 5-in-1 Convertible Crib with other pieces from the Hathaway Collection to design a playfully elegant farmhouse style nursery with rustic and vintage charm. Sleep soundly at night knowing your baby will too in the Novogratz Prism Metal Crib. You can also achieve peace of mind knowing the finish has been tested for lead and other toxic elements to meet or exceed U.S. government and ASTM safety standards. 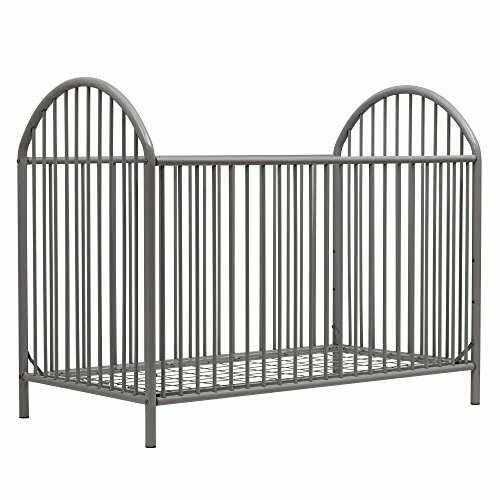 Not only is this crib safe, but the light gray finish will coordinate with your nursery decorating theme. 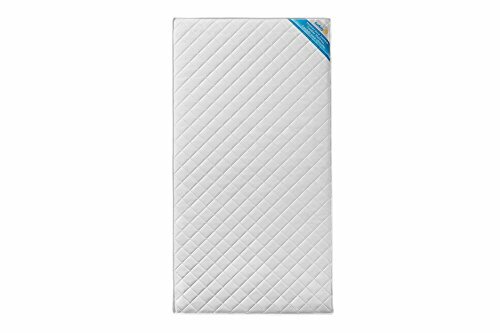 The easy-to adjust mattress platform offers 3 different height options for your growing baby and fits a standard sized crib mattress. Mattress not included. 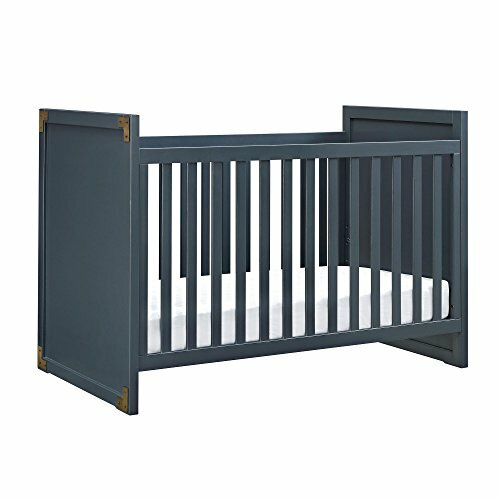 The Prism Metal Crib is finished in a powder-coated paint for a long lasting and quality look. Two adults are recommended for the proper assembly of this 41.9"H x 54.5"W x 29.4"D crib. The Ridgeline 4-in-1 Convertible Crib by Baby Relax finds its inspiration from the call of the wild making it the perfect addition to your nature-themed nursery room. 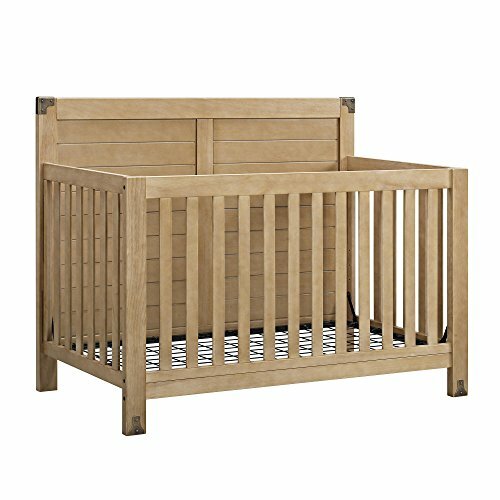 Crafted with a rustic natural finish, this rustic modern crib features natural elements such as a sturdy wood construction, and a full panel headboard with horizontal slats details all of which are accentuated by wood grain detailing. Eye-catching antique brass metal decor plates highlight both corners of the headboard and front feet adding the perfect finishing touch. Stylish and versatile, the Ridgeline crib easily converts into a toddler daybed, and finally into a full-size bed with or without a footboard. Bring the outdoors in by combining the Baby Relax Ridgeline 4-in-1 Convertible Crib with the rest of the Ridgeline collection. Looking for more Dorel Baby Cribs similar ideas? Try to explore these searches: Automatic Holder, Loose Fitting, and Salvador Dali Moisturizing Body Lotion. Look at latest related video about Dorel Baby Cribs. Shopwizion.com is the smartest way for online shopping: compare prices of leading online shops for best deals around the web. 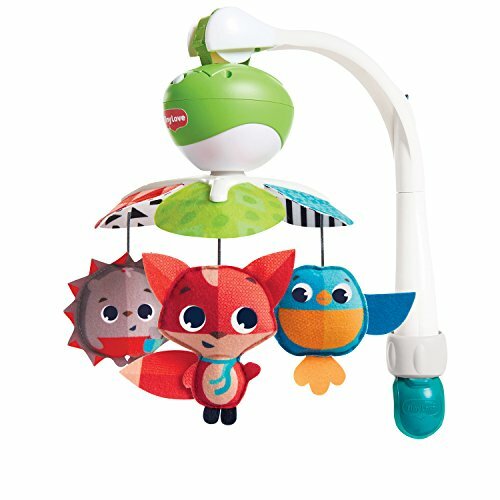 Don't miss TOP Dorel Baby Cribs deals, updated daily.